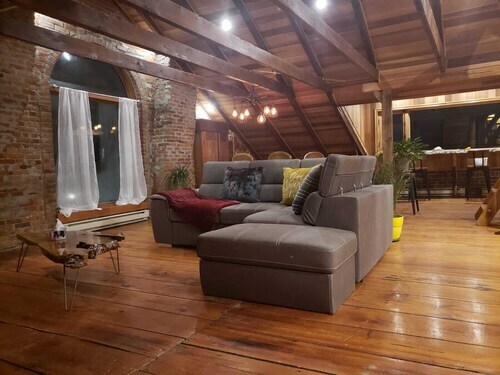 Situated in Chambly, this spa bed & breakfast is 0.4 mi (0.7 km) from Fort Chambly National Historic Site and within 12 mi (20 km) of La Maison Amérindienne and Gault Nature Reserve of McGill University. Charpentier-Chevrier Park and Centre Pluridisciplinaire d'Aviation du Quebec are also within 12 mi (20 km). 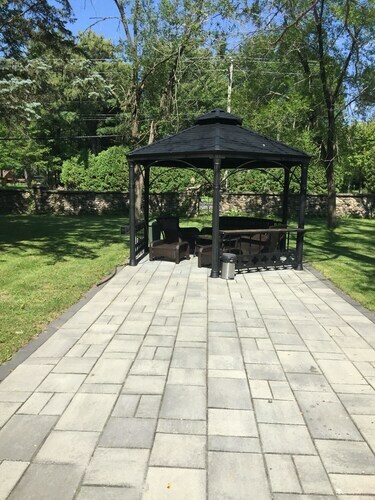 Situated in Chambly, this property is 1.4 mi (2.2 km) from Fort Chambly National Historic Site and within 12 mi (20 km) of Centre Pluridisciplinaire d'Aviation du Quebec and Charpentier-Chevrier Park. La Maison Amérindienne and Quartier DIX30 are also within 12 mi (20 km). 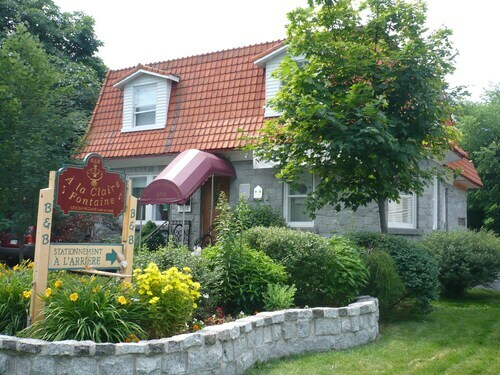 Located in Saint-Hubert, this inn is 5 mi (8.1 km) from Fort Chambly National Historic Site and within 12 mi (20 km) of La Ronde Six Flags and Biosphere. Quartier DIX30 and Parc Michel Chartrand are also within 12 mi (20 km). Situated in Carignan, this apartment building is 5 mi (8 km) from Quartier DIX30 and 5.6 mi (9 km) from Fort Chambly National Historic Site. The Underground City and Palais des congres de Montreal are also within 16 mi (25 km). 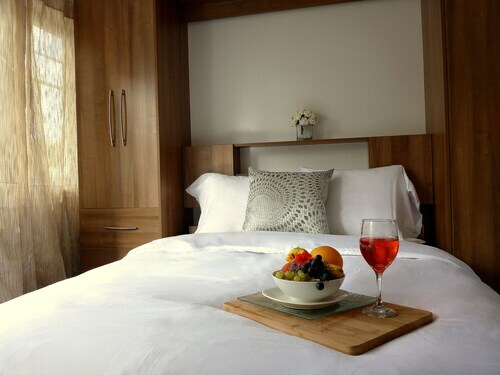 Situated in Saint Basile le Grand, this hotel is within 9 mi (15 km) of Centre Pluridisciplinaire d'Aviation du Quebec, Gault Nature Reserve of McGill University, and Parc de Beaujeu. La Ronde Six Flags and Fort Chambly National Historic Site are also within 12 mi (20 km). Saint-Basile-le-Grand Station is only a 3-minute walk. 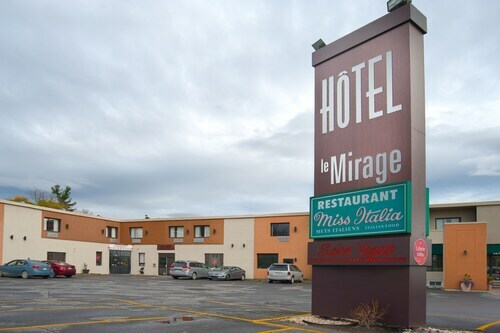 Located in the heart of Marieville, this hotel is within 25 mi (40 km) of Quartier DIX30, Canadian Air Force Base Saint Jean, and Saint Hyacinthe Public Market. Mont Saint-Bruno Ski Resort and Autodrome Granby are also within 25 mi (40 km). 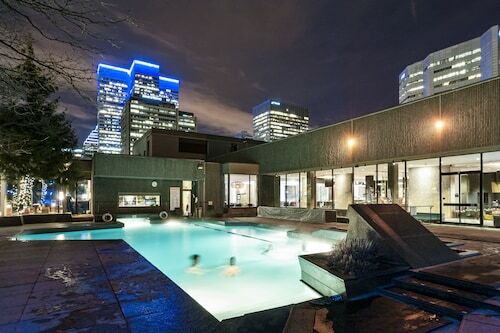 Situated in Brossard, this apartment building is 2.2 mi (3.5 km) from Quartier DIX30 and within 9 mi (15 km) of The Underground City and Palais des congres de Montreal. Old Port and Notre Dame Basilica are also within 9 mi (15 km).